All of us are different: we have different lifestyles and preferences, different personalities, different skin tone and even different skin types. You might have oily skin, dry skin, or a combination of both with or without a sensitivity factor to mix with it. Your skin type might even change with the age, specific body conditions like pregnancy, very intense exercise, menstrual cycle or even the weather! And most importantly–anyone suffering from acne needs to treat it the same way: from the inside and outside. If you “shine” too much during the course of a day and especially in the morning. You have to use a lot of face and body moisturizer just to keep that “dry look” away. You have sensitive skin, as sensitive skin and dry skin tend to go hand in hand. Sensitive skin tends to be very responsive: Redness, itching, blotchiness, reactions to cosmetics, redness in reaction to salicylic acid or ingredients, and a general feeling of “discomfort” are all signs of sensitive skin. You have sensitive skin. Sensitive skin sometimes goes hand in hand with combination skin. As mentioned above, sensitive skin tends to be very responsive: Redness, itching, blotchiness, reactions to cosmetics, redness in reaction to salicylic acid or ingredients, and a general feeling of “discomfort” are all signs of sensitive skin. Exfoliate: Never exfoliate more than once a week, and always be sure to wear SPF, never exfoliate after sun or wind exposure and never get sun exposure after exfoliating. We recommend exfoliating gently and naturally with natural ingredients based exfoliating masks using foods, such as avocado or papaya, which contain natural enzymes that will “dissolve” dead skin cells without any abrasion. Clean: Choose gentle products free of harsh ingredients like salicylic acid, alcohol and benzoyl peroxide, any chemicals you cannot pronounce or have the word “acid” in the name. Use a mild, noncomedogenic cleanser. Or, try massaging in a few drops of olive oil, avocado or coconut oil and wiping away with a cotton ball soaked in luke warm water and a few drops of rose oil or lavender. Exfoliate: Do not exfoliate more than twice a month – never after sun or wind exposure; always use at least SPF 30, and a moisturizer after exfoliating. We recommend exfoliating gently and naturally with food type ingredients such as avocado or papaya, which contain natural enzymes that will “dissolve” dead skin cells without any abrasion. Exfoliate: Never exfoliate more than once a week, and always be sure to wear SPF, especially after exfoliating. We recommend exfoliating gently and naturally with foods, such as avocado or papaya, which contain natural enzymes that will “dissolve” dead skin cells without any abrasion. Stretch marks are a type of skin scarring associated with pregnancy, obesity, puberty, and short-term weight gain from bodybuilding and other physical activities. Stretch marks form when the dermis – the middle layer of the skin that maintains shape and elasticity – is stretched more than it can tolerate. This causes connective tissue in the skin to break, disrupting collagen production and causing dark marks. Stretch marks do fade over time but much slower than typical scars. stretch mark creams. While generally considered harmless stretch marks can be a serious concern when they effect the happiness and self-esteem of an individual. Stretch marks may be treatable with stretch mark creams, laser therapy and microdermabrasion. If you do seek treatment for stretch marks, know that treatments are only partially effective and won’t remove the stretch marks completely. How do stretch mark creams and treatments compare? The following treatments are among those available to help improve the appearance of stretch marks. None has been proved to be more consistently successful than the others, so the best approach is to start with the cheaper solutions first. Stretch Mark Creams. Research shows evidence that that retinol creams may improve the appearance of recent stretch marks, specifically those that are less than a few months old and still red or pink in tone. If you are pregnant or nursing, your doctor may suggest avoiding or delaying treatment with topical retinol creams. When retinol does work it helps by stimulating the production of collagen, thus restoring the natural appearance of the skin. Retinol can irritate skin and increase sensitivity to the sun. Retinol isn’t effective on older stretch marks. Clinical research suggests kigelia africana can improve stretch marks and age spots. Kigelia africana works by supporting elastin, melanin and collagen production and increasing the rate of natural healing processes. Kigelia africana can be used on stretch marks of all ages. Laser treatment. Laser treatments use high intensity light to stimulate the production of collagen, elastin and melanin production in directed areas. Your doctor can help you determine which type of laser technology is appropriate for you, depending on the age and location of your stretch marks and your skin color. Microdermabrasion. This type of treatment involves a hand-held device that blows tiny crystals onto your skin. These crystals gently abrade, or “polish,” the skin’s surface. Then, a vacuum tube removes the crystals and sloughed skin cells. Microdermabrasion gently removes the skin’s topmost layer, prompting the growth of new, more-elastic skin. This therapy is an option for older stretch marks. Finding the Right Acne Cream for You! There are a lot of ways to treat acne. One of the most popular types of treatments is topical cream. The reason is simple, creams are easy to use and easy to acquire. But do these acne creams really work and are they strong enough to cure acne on their own? For serious acne consult your doctor. Acne creams are not intended for severe forms of acne like acne conglobata, cystic acne and nodular acne. Mild acne in the case of whiteheads, blackheads and the familiar acne vulgaris do respond to topical treatment. Skin type is important when selecting acne cream. Oily skin does not mix well with oily cream. Many different chemicals are used in acne cream; the most common include benzoyl peroxide and salicylic acid. These chemicals combat acne by making skin uninhabitable for bacteria, sloughing dead skin cells, unclogging pores and diminishing oil production. 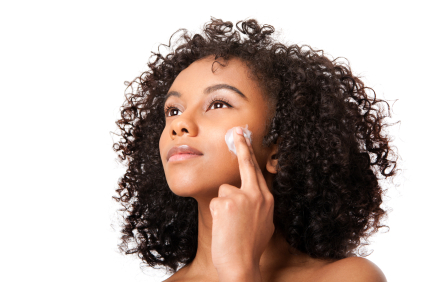 It’s common for acne creams containing benzoyl peroxide to dry and stiffen skin. This can be ameliorated by using a good moisturizer, using lower concentration creams or using products with soothing ingredients like aloe vera and kigelia extract. In any other case it’s fine to experiment with home remedies and over the counter acne cream. Dietary changes to healthier greener and leaner foods are known to work wonders for the skin. Additionally any kind of activity that induces sweating followed by a shower is extremely effective in both improving complexion and unclogging pores. Remember the skin is the largest detoxification organ! The types of acne that DO respond well to acne cream include acne vulgaris, whiteheads and blackheads. These types of acne occur due to clogged pores and overactive sebum production. As we’ve learned acne cream is best used for mild acne or in conjunction with dietary and lifestyle changes. The best acne cream products for mild acne contain benzoyl peroxide, salicylic acid, sulphur, tea tee oil, or a combination of these and other countervailing ingredients used to soothe skin. Salicylic acid dissolves the oil and dirt on the surface of skin and allows you to rinse away the debris that often clogs pores – one of the primary causes of acne. You may be using salicylic acid already and not even know it, that’s because salicylic acid is the active ingredient in Aspirin! There are two forms of salicylic acid: alpha hydroxyl acid and beta hydroxyl acid. Both forms exfoliate the skin. The main difference is that alpha hydroxyl acid is somewhat stronger and will make you sensitive to the sun. Salicylic acid is used in creams, gels and even pad wipes. For the most part salicylic acid is gentle on the skin and not likely to cause significant irritation. Benzoyl peroxide is a long lasting chemical ingredient in the vast majority of acne products that fights acne by decreasing the number of P. Acne bacteria that are largely responsible for surface infection. It comes in variety of concentrations from 0.5% to 10% and also in the form of bar soap, lotion, cream and gel. Benzoyl peroxide can take between 4 and 6 weeks to begin to improve your skin, so it requires some patience and diligence. As noted before benzoyl peroxide can dry, stiffen and irritate the skin and so it often necessitates the use of a good moisturizer in tandem to soothe the skin. Alternatively some opt to use a lower concentration, it’s been suggested that 2.5% is optimal for mild acne while not causing much irritation. Nevertheless a good moisturizer is recommended when using benzoyl peroxide. Sulphur is used to treat acne and other skin conditions. It is most effective in reducing flakiness and itchiness as a result of outbreaks. Sulphur is also a powerful anti-biotic and will kill the bacteria P. Acne that is responsible for most surface infection. Most significant of all sulphur decreases natural sebum production and facilitates the natural exfoliation of dead skill cells. It is generally mild on skin and not known to cause irritation. Tea tree oil is a natural ingredient found in many acne creams and gels. It is best used at concentrations of 5% and provides many of the same benefits as benzoyl peroxide with additional antiseptic and antifungal properties. It is also less irritating to the skin than benzoyl peroxide and does not cause bleaching. The drawback is that it’s often more expense to produce. Retinol is a less common chemical ingredient based on vitamin A. It is useful in combating acne anywhere on the body but causes sensitivity to the sun and as such is best used at night time and with sunscreen. Triclosan is another infrequently used chemical ingredient used to kill P. Acne bacteria due to its ability to be absorbed into skin quickly. It’s often used in conjunction to benzoyl peroxide and salicylic acid and in face and body wash products. Finally, many of these ingredients can be highly irritating to the skin, causing dryness, redness and stiffness so it’s a good idea to look for acne creams with soothing additives like aloe vera, sage extract, and lavender oil or moisturizing ingredients that combat skin “stiffness” like eucerin, jojoba, and kigelia extract. Many “advanced” over-the-counter products exist with different steps and stages but it’s often a one size fits all approach that doesn’t work for everyone. Whether you’re choosing an acne cream or other more advanced solution always keep in mind the following: your skin type, the instructions and patience. http://kigeliashop.com/wp-content/uploads/2014/06/kglogo-1024x307.png 0 0 Marcie http://kigeliashop.com/wp-content/uploads/2014/06/kglogo-1024x307.png Marcie2014-07-08 01:01:212014-07-08 01:10:25Finding the Right Acne Cream for You! Acne is a skin problem that affects millions of people every year, often on a daily basis. Although acne is not life threatening, it can cause great stress and significantly impact a person’s standard of living. Acne, especially when repeatedly touched or picked at, can also lead to permanent scaring and even infection. For that reason, those affected by acne often look for any kind of acne cream or treatment that will provide releif. When it comes to treating acne, there are a large number of products that claim to provide cures. In addition to simply just appearing on store shelves, a large number of acne medications are also appearing on our television screens and with famous celebrities standing behind the products. What’s worse, some actually do massive harm, such as Accutane. Of course, if you are suffering from acne you can give these products a try, but it is also important to know that you do have a number of different options. These options involve the use of natural therapies and home remedies, which are a safer way to treat acne, as they do not rely on the use of potentially dangerous chemicals and drugs. There are a number of home remedies for acne that rely on different types of food. One of those remedies is that of lettuce. Saturating lettuce in water for about an hour will result in a special mixture with skin-healing properties. This mixture can then be applied to the skin, acting as a rinse. This approach is a simple trick anyone can afford. Fresh lime juice and milk is another home remedy for getting rid of acne that comes highly rated and recommended. With this natural treatment for acne, boil a half glass of milk. Once that milk has cooled, add in about the same amount of fresh lime juice. You can then use a towel or cloth to apply the mixture onto your acne infected skin. As an important reminder, wait until the boiled milk has cooled to a comfortable temperature to prevent burns. For a small spot of acne, ripe tomatoes can be used. For this remedy, cut a ripe tomato in half and place the inside, wet portion of the tomato on the pimple or pimples. Leave it on for about an hour and then wash it off. A similar approach to this natural remedy and one that still comes highly rated and recommended involves the use of tomato paste. Finally, my favorite home remedy for acne is pore-cleansing honey. Get a jar of organic non-fructose enriched honey from your local grocery store. Then wash the acne infected areas, dry and apply the honey generously to the affected skin. Let the honey sit for at least 10 minutes. Friendly warning, this can get messy so be sure you’re not dripping honey on anything important. I recommend doing this while taking a shower. The honey works well because it picks up all the dirt and oil from the pores. The end result is totally clean skin and a glowing complexion. In conclusion, there are a number of different natural treatments and home remedies for those suffering from acne. As for why you’d want to use a natural acne remedy, there are a number of different reasons. If you have ever tried over-the-counter skincare products before, you likely already know that they can get costly. Imagine that cost added up overtime. It is also important to note that many over-the-counter acne creams have poor results. In fact, did you know that some products actually cause users more problems with rashes and acne than before? That is because they irritate and dry the skin instead of soothing and protecting it. Lastly, many acne medications can severely affect a user’s health. Accutane is one such infamous medication but anti-biotic acne medications are also harmful when taken for long lengths of time. It’s no surprise so many people are now starting to rely on natural remedies instead, as they are affordable, easy to implement, and safe. With all that said if you’re still interested in over-the-counter acne creams Kigelia extract can provide significant relief by calming, soothing and healing affected skin. When used regularly Kigelia extract can promote infection-resistant skin that also stays fresh and supple.